Something you should know about me: I do not like fast food nor junky food. Or perhaps, it does not like me. It leaves me feeling yucky and there is generally just too much meat & dairy for my stomach to handle. So last week when I was at Applebee’s for lunch I was worried I might struggle to find something I could handle. I immediately whipped out my phone and pulled up the PDF of Applebee’s menu and nutritional stats. Good thing I was early and waiting on friends, because I was horrified. 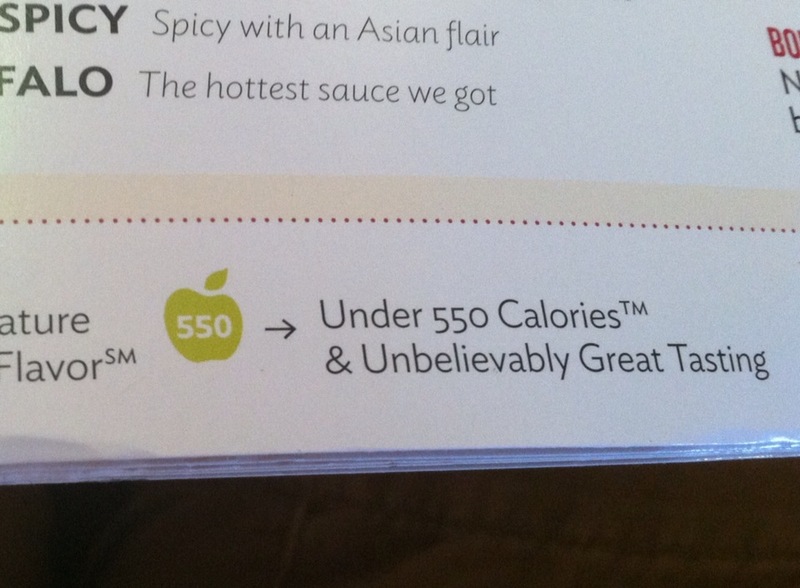 I truly believe people would make different decisions about food if this kind of information was posted ON the menu. I consider myself a very active person and am not one to count calories, but this made me start thinking about other places we like to eat and wondering how they stack up. 3180 mg of salt is more than a teaspoon and more than your daily needs! So, what did I order? The seasonal berry and spinach salad without the chicken and a bowl of tomato soup. I should have chosen a better lower sodium soup and could have done without the sweet dressing as well. Live and learn. “According to the Centers for Disease Control and Prevention (CDC) just about everyone needs to eat less salt! The CDC states that 70 percent of U.S. adults should limit sodium intake. The U.S. Dietary Guidelines recommend healthy adults consume no more than 2,300 milligrams of sodium (about one teaspoon of salt) per day. A lower limit of 1,500 mg per day is recommended for adults with high blood pressure, those older than 40, and all African-American adults. According the National Health and Nutrition Examination Surveys, here are the top 10 individual sources of sodium in the American diet, based on the combination of sodium content and frequency of consumption.